Steve, Carlos and Eric Knight in North Canterbury run Tabard Ltd, a family business operating as Knight Contracting. We are development and maintenance specialists. For the last 20 years we've developed dairy farms and beef units, just on three years ago we began rut busting and in the last year have branched out into the civil arena. 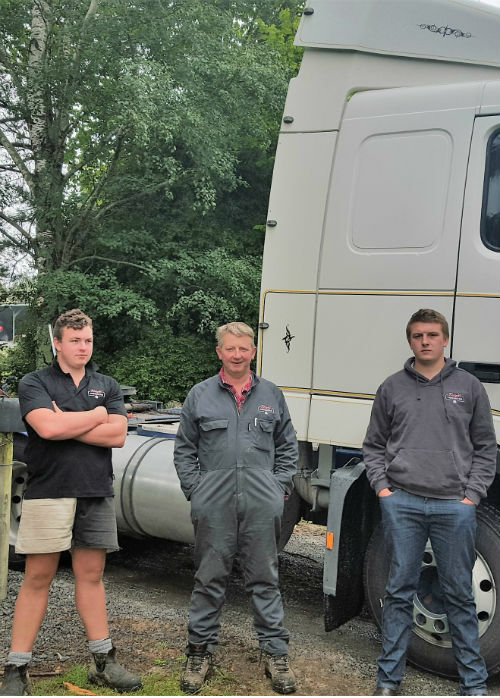 Our vehicles and heavy equipment are based at Christchurch which means we easily and quickly get to jobs all over Canterbury and up to Marlborough. We have a range of trusted staff who have worked with us for many years and can join us depending on requirements. Give us a ring and talk about the work you need doing. We've got plenty of happy customers all over Canterbury who'll tell you we complete work on time and within budget.